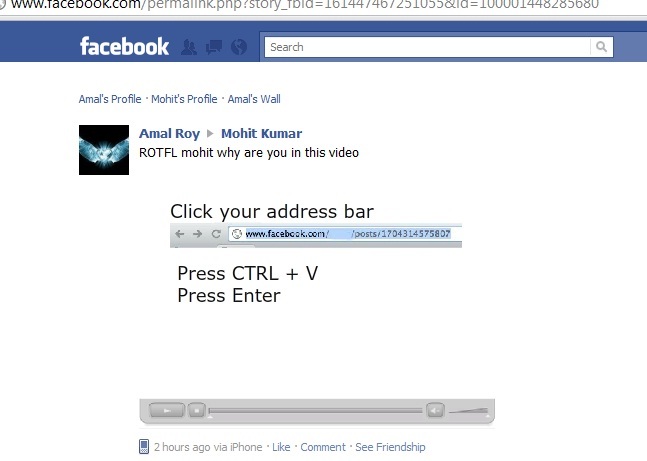 New Facebook Scam : WTF I can’t believe you’re in this video ! Its a new scam spreading on Facebook. Don’t open or click on this link else it will be posted to all your friends wall, esp. copy any URL [java-script code] and paste in your browser navigation/location bar to help spread the message to all your friends. Most importantly for the user who fall into such scams by clicking the links in impulse. Remember Facebook API doesn’t provide data about which user has been visiting your profile or if your friend are present in a video. Please share this message, and if you are already hit by this scam, delete all related wall posts from your profile, change your password and update your friends about the scam or share this link on Facebook.